Luxury shoppers look to Britain for bargains as the value of the pound falls, but will the trend last? The United Kingdom’s decision to leave the European Union after the 23 June referendum has had profound implications for many industries. The reverberations of Brexit saw the pound drop to its lowest value in 31 years, while reports of banks and multinational corporations moving some of their operations overseas poured in as concerns about the UK’s future in Europe’s single market were realised. But could there be a silver lining in the British Pound’s plummet? JWT Intelligence think so. Their opinion is that the UK’s luxury good’s market could see a spike as bargain-hunting luxury shoppers, particularly those from China, aim to capitalise on the fluctuating pound and the resulting falling price of designer goods purchased in the UK. Online travel operator Ctrip noticed a 200% jump in clicks on its booking app for tours to the UK, while The Shanghai Spring Tour announced that almost all of their tour packages to Britain this summer have sold out. As the Guardian reported, many Chinese consumers have indulged in post-Brexit shopping sprees as Burberry coats and Louis Vuitton bags were amongst items to slump in price. George Wallace, chief executive at London retail consultancy MHE Retail acknowledges that the pound is “low enough to move the needle a bit on the attractiveness of the U.K. to tourists in the short term.” Wallace anticipates a rise in visitors from China and the rest of Asia, along with the US and the Eurozone. “I think that…certainly for London, which is where most of the visitors come, and for luxury goods, there’s going to be a bit of a spike in business,” he adds. Visit Britain, the country’s national tourism agency, adds that Chinese tourists are one of the highest spending groups that visit the UK, spending an average of £2,174 per visit in 2015. Visit Britain also notes that British Airways saw a one third increase in US customers searching for flights to the UK on their website, in the days following the referendum. The chief executive of the European Tourism Association Tom Jenkins also agrees that tourists who were already thinking about a trip to the UK are more likely to visit while the pound is weak. “It will mean that [tourists] are likely to spend more money in the UK,” he says. Wallace forecasts that luxury goods won’t be a bargain for long, however, as luxury brands are likely to increase their prices in reaction to the falling pound. 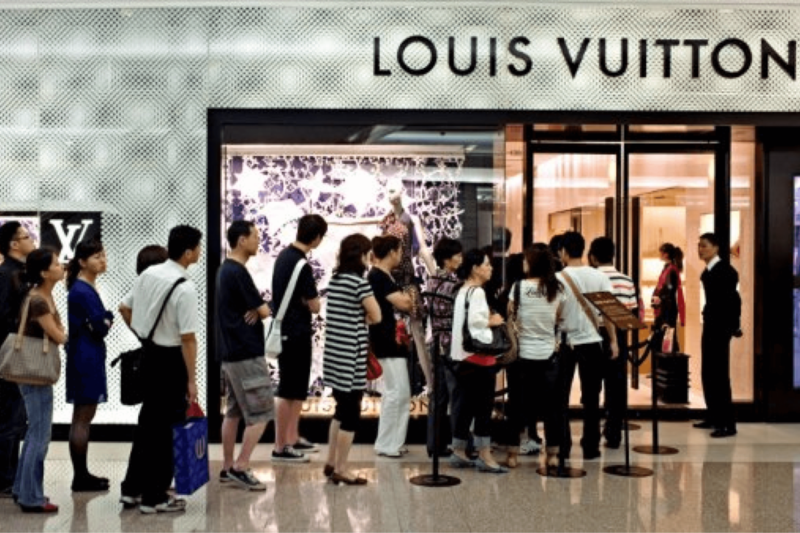 Wallace predicts that luxury brands are likely to start building a price rise when the next new merchandise comes in, in around a year’s time. Wallace also predicts a further increase in the price of luxury goods in Britain, as the government looks for ways to increase revenues in the weakened economy. He suggests that raising VAT on luxury goods would be a politically popular way of doing that.